On Anita Guha's 11th death anniversary today, we look at the phenomenal success of her role in Jai Santoshi Maa, one of the more popular mythologicals of all time. The year 1975 is remembered in film history for giving us two of Hindi cinema’s most iconic films — Ramesh Sippy’s Sholay and Yash Chopra’s Deewaar. With memorable characters and immortal lines that would inspire generations of artistes and filmmakers alike, these two films remain etched in public memory. 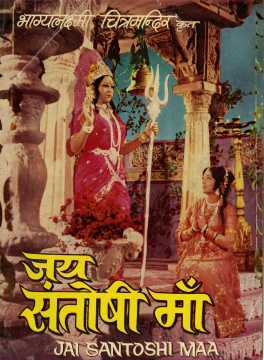 There was a third film that created ripples in the industry that year — Vijay Sharma’s mythological Jai Santoshi Maa. Of markedly different hue from the two mainstream blockbusters, this film featured divine beings who captured the imagination and devotion of audiences. This film, too, went on to become a blockbuster and, single-handedly, resuscitated the dormant genre of Hindi mythologicals. 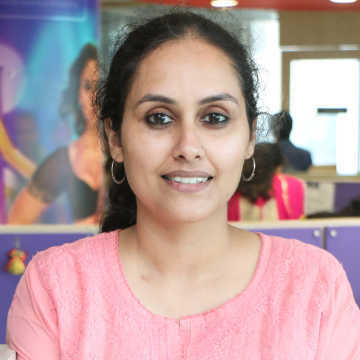 The film blurred the elements of the social and the mythological in a story set in contemporary times, where a young woman, Satyavati (Kanan Kaushal), is oppressed by her in-laws but is helped along by her utmost devotion to the mother goddess, Santoshi Maa (Anita Guha). Though driven to despair, Satyavati’s devotion remains steadfast as she observes the Friday fast in honour of the goddess and order is restored in the end. The film struck a chord and legions of fans flocked to the theatres with the devotion of pilgrims. At the centre of the film, playing the eponymous character of the deity, was an actress known for her work in social and mythological films, Anita Guha. 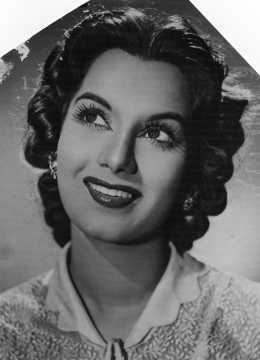 She began her career in the 1950s, when she starred in Lekhraj Bhakhri’s film Tonga-wali (1955), followed by supporting roles in Chhoo Mantar (1956), Dekh Kabira Roya (1957), Sharada (1957), and Goonj Uthi Shehnai (1959), for which she was nominated for a Filmfare award for Best Supporting Actress. Guha made her foray into mythological films such as Kavi Kalidas (1959), but it was her role as Sita in Sampoorna Ramayana (1961) that was a big hit. She reprised the role of Sita in Shri Ram Bharat Milap (1965) and Tulsi Vivah (1971), films that made her famous but also typecast her as an actress for the genre. In the late 1960s and early 1970s, mythologicals faced a steady decline and Guha did not find many roles coming her way. She then started playing the role of mother, like in Aradhana (1969), Sharmeelee (1971), and Anuraag (1972). But it was her role as Santoshi Maa which proved life-altering, though she had never heard of the goddess before playing the role! In a 2006 interview with The Telegraph newspaper, Guha recalled how she was offered the film. “I still remember when the producer came to me saying they were making a film on Santoshi Maa. I had never heard of this goddess,” she said. Yet this was the role that would bring her widespread acclaim and recognition. 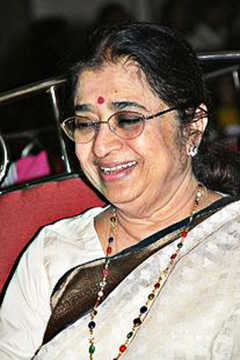 The success of the film was of a different order for Guha, who was inundated with fans who saw her as being touched by the divine. Aside from the reverence for the film — people would often remove their footwear before stepping inside theatres to watch it — the actress was elevated to the status of a semi-divine being with older women wanting to touch her feet and others placing newborn babies in her arms, asking her to bless them. Indeed, the film was a true phenomenon as it was a low-budget movie with lesser known actors and featured a less known deity. But despite the odds, it became a cult film. Philip Lutgendorf has noted how the film was revived for screenings for women’s matinees on Friday, which is the day of the ritual fast associated with the worship of the goddess. 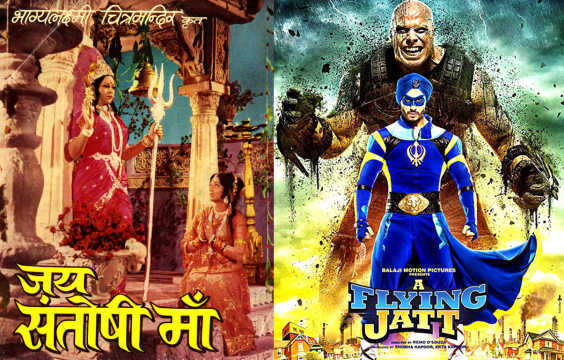 As expected, a wave of mythological films hit cinemas in the wake of Jai Santoshi Maa, hoping to cash in on the religious sentiments of the audience, but failed. The director of the film, Vijay Sharma, also tried to repeat his success by making Mahapawan Teerth Yatra (1975), Jai Mahalaxmi Maa (1976) and Mahasati Naina Sundari (1979), but in vain. The silver screen ensures the immortality of artistes, but Anita Guha’s divine immortality remains unparalleled. The actress passed away on 20 June 2007.